West Papua has been sidestepped by both the the Melanesian Spearhead Group and the Pacific Islands Forum. But, reports James Halpin of Asia Pacific Journalism, Vanuatu is undeterred as leading champion for the West Papuan cause and is pressing for United Nations support. Vanuatu raised the plight of political prisoners charged with treason at a UN working group of arbitrary detention and involuntary disappearances, reports RNZ. Ninety three West Papuans have been arrested this month for their involvement in peaceful protests. Simply peacefully raising the Morning Star flag representing an independent West Papua risks 15 years’ imprisonment. Vanuatu has traditionally been the major supporter for West Papuan self-determination but has recently stepped up his diplomacy with the appointment of Lora Lini, daughter of the late founding prime minister Father Walter Lini, as special envoy for West Papua. Port Vila wants West Papua to be added to the UN decolonisation list. Netherlands New Guinea had previously been on the UN decolonisation list but was annexed by Indonesia in 1969 in controversial circumstances. The UN decolonisation list, or officially the United Nations List of Non-Self-Governing Territories, engages member states in charge of those territories to move towards granting self-determination. Currently, Tokelau, which is a dependency of New Zealand, is on the decolonisation list. 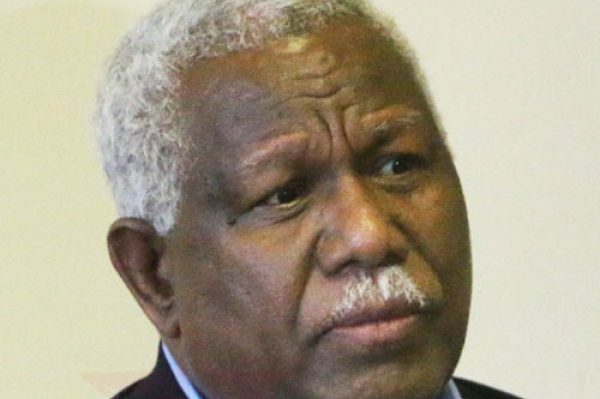 Support from the Melanesian Spearhead Group bloc is divided with the Papua New Guinean government declaring this week it would not support Vanuatu, reports the PNG Post-Courier. The Pacific Islands Forum has failed to bring change for the issue of self-determination and West Papua. “I can’t say there’s been a huge amount of success,” says Marie Leadbeater, spokesperson of West Papua Action Auckland and author of a recent book See No Evil: New Zealand’s Betrayal of the People of West Papua. Vanuatu brought a draft resolution for the UN to the Pacific Islands Forum in Nauru, reports the Vanuatu Daily Post. The draft was labelled the “Realisation of the right of Papuan peoples’ self-determination in the former colony of the Netherlands New Guinea (West New Guinea)”. However, the West Papua issue was not supported by other Pacific nations and was left off the outcomes document of the Forum, reports Asia Pacific Report. The Forum has been a place to push for limited goals, such as fact-finding when it comes to West Papua. Leadbeater says New Zealand following Vanuatu’s lead could be a “game changer”, but it is not willing to challenge Indonesian sovereignty. Similarly, on the recent issue of returning the Chagos archipelago to Mauritius, New Zealand did not support the case to be considered by the International Criminal Court. At a meeting in Nauru as part of the Forum, Foreign Minister Winston Peters said New Zealand recognised Indonesian sovereignty over West Papua. Peters added that New Zealand would follow PNG’s lead as its nearest neighbour, reports the Vanuatu Daily Post. However, Leadbeater did identify a large number of NZ government MPs who would support West Papuan self-determination, including all of the Greens and high profile Labour MP Louisa Wall. Associate Professor Stephen Hoadley of the University of Auckland says that since West Papua’s integration into Indonesia in 1969, the cards have been stacked against them. Indonesia claimed that Papuans were not advanced enough to deal with democracy and instituted a meeting of tribal elders. After the flawed vote, Indonesia instituted a policy of transmigration into West Papua where Javanese were moved from Java to colonise less populated provinces around Indonesia, including West Papua. This policy was ended by current president Joko Widodo in 2015. 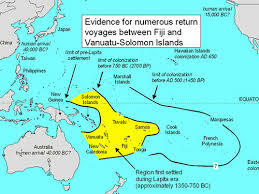 However, discrimination against the indigenous Melanesians had become endemic. For example, the courts were stacked with Javanese judges and Javanese got favourable preference. Because of examples such as this, an independence movement sprang up in 1963 called the Free Papua Movement. In the realm of international relations there was no appetite to criticise Indonesia in the 1960s. Indonesia was sidelined during the cold war and US mining multinationals hadn’t started drilling in the province yet, says Professor Hoadley. But, things haven’t changed in the past 50 years. Dr Hoadley says liberal Western countries such as the Australia, New Zealand, United States, and the United Kingdom are status quo powers. A consensus among Western nations is that Indonesia has “things under control” and their transgressions against human rights in West Papua are not bad enough to consider attention, claims Dr Hoadley. After the end of the Suharto regime in 1999, Indonesia was seen as a success story; a Muslim country that has adopted political parties, elections, and freedom of the press. “The US thinking is that they’re on a good track and we shouldn’t criticise them too much,” he says. Ominously, nothing has come of the Rohingya genocide and there is no foreseeable future for West Papuan self-determination unless outside international influence or domestic upheaval forces Indonesia to start the process of decolonising. James Halpin is a student journalist on the Postgraduate Diploma in Communication Studies (Journalism) reporting on the Asia-Pacific Journalism course at AUT University. Vanuatu’s police commissioner was recently suspended. Police Commissioner Albert Nalpini has been placed under suspension, but we don’t know why. There is every indication that the proper processes were followed. And no one is suggesting that there was malice or even a hidden agenda behind the decision to suspend Mr Nalpini. But the decision to suspend the top law enforcement officer in the country is a big deal. He works for the people of Vanuatu, and so do the members of the Police Services Commission who are investigating him. The public needs to know what is happening, and why. Everyone knows the Vanuatu Police Force has a chequered history. In 2012, things got so heated that accusations of mutiny were thrown around. A number of people were threatened, and the confusion lasted years. It was these events that ultimately led to Joe Natuman’s well-intentioned but illegal instruction to stop this childish nonsense. And it was a court case arising from this that finally established the authority of the Police Service Commission to suspend a commissioner while they investigate him for breaches of discipline. The process requires that the Commission advise the Head of State after consultation with the Minister —in this case, Internal Affairs Minister Andrew Napuat—of the investigation and of the need for him to be suspended. For legal reasons, it’s the President who actually performs the suspension. That’s because it’s the President who appointed him in the first place. There is every indication that Mr Nalpini’s suspension has followed this exact process. We know what happened. Now we need to know why. There may be valid reasons to leave some details out. We don’t want people to assume he’s guilty while the investigation is still proceeding. We don’t want to cause unrest. We don’t want to make things worse within the ranks. We don’t want to leave ourselves open to a court challenge. These are reasons to be careful. They are not excuses to refuse to say anything at all. The public’s right to know weighs against silence. The Right To Information Act clearly states that all government information is public unless there’s a compelling reason to protect it. Albert Nalpini is the man who enforces the laws of Vanuatu. He is subject to the same laws as everyone else. And he has to be seen to be subject to it, too. No special treatment, no shortcuts. If someone is charged with a crime, their name and the charges against them are released to the public. They have to be, because charging people and trying them in secret is against everything we stand for in a free country. In rare cases, a person’s name is not released. This is to protect the victim, not the accused. In very very rare cases, national security requires that the entire case be conducted in secret. But even in these extreme cases, there are normally oversight processes. But to suspend our top cop and then claim ‘administrative reasons’? That’s not good enough. The Police Act, which was cited in the suspension letter, allows for the suspension of a senior officer while an investigation is undertaken concerning a disciplinary offence. So yes, there is an administrative reason for suspending him. But what is the offence? It’s an important question. Disciplinary offences include being absent from duty, committing a breach of confidence, corruption, damaging your uniform or police equipment, discreditable conduct, drunkenness on duty, lying, insubordination, faking illness, negligence, improper conduct, abuse of authority, or even uncleanliness or incivility. Any one of these might or might not be grounds for suspension. Being absent from duty might be no big deal. It might be a very big deal. That depends on the absence, and on the duty. This suspension might be no big deal. Or it might be a very big deal. The people of Vanuatu have a right to know which it is. We don’t need the gory details, but we do have a right to ask why Albert Nalpini is not sitting at his desk right now. And the Police Service Commission, the Minister and the President—all of whom serve the people of Vanuatu—have a duty to explain what just happened. In addition, existing members are not meeting their financial commitments to the MSG. Funds are available – China and the European Union have previously made donations, and PNG offered Fiji approximately A$20 million in support of the latter’s return to democratic elections in 2014 – but each contributing member has its own domestic priorities to consider. A former Papua New Guinea military commander says any proposal to create an Australian military base there should be debated in parliament. He said Australia has neglected PNG for a long time, and placing military personnel in the country may not be the best approach. A long journey can be completed only by taking one step at a time. Chinese Ambassador Zhou Haicheng made the remarks on the occasion of the 69th Anniversary of the founding of the People’s Republic of China (PRC) which was celebrated on Friday 21 September, 2018 at the National Convention Center. “Only by working hard can we realize our dream. What I know for sure is that with our joint efforts, China-Vanuatu friendship and cooperation have broad vistas. Ambassador Zhou reflected that over the last 69 years, under the strong leadership of the Communist Party of China, Chinese people have overcome numerous difficulties and obstacles, added a glorious chapter to the epic of the history and explored a successful development path toward the modernization. “China remains firm in pursuing an independent foreign policy of peace,” he said. ‘We respect the right of the people of all countries to choose their own development path. “China continues its efforts to strengthen the friendship and cooperation with other countries on the basis of the Five Principles of Peaceful Coexistence. The year 2018 also marks the 40th anniversary of China’s reform and opening up. During the last 40 years, the determined efforts and tenacious work of Chinese people have brought enormous changes to the country – China’s GDP has averaged an annual growth rate of around 9.5%. Today China has grown into the world’s second largest economy and the largest trader of goods. The Chinese Ambassador said China lifted 740 million people out of poverty, accounting for more than 70% of the global total over the past four decades. In recent years, China has contributed over 30% of global growth, injecting powerful impetus into global economy and also brings valuable opportunities to the world. China has already established basic endowment insurance system and medical insurance system covering over 900 million and 1.3 billion people separately. Through the reform and opening-up, Chinese people feel prouder and more confident for a greater country enjoying prosperity and a better society with harmony and tranquility. “China and Vanuatu share a common future and we see each other as true friends and cooperative partners,” said Ambassador Zhou. “China attaches great importance to its relationship with Vanuatu and stands ready to work with Vanuatu to take our bilateral relations to a new height. “Since I take my office, I am deeply impressed by our close high-level exchanges, strong economic and trade cooperation and vibrant people-to-people exchanges. 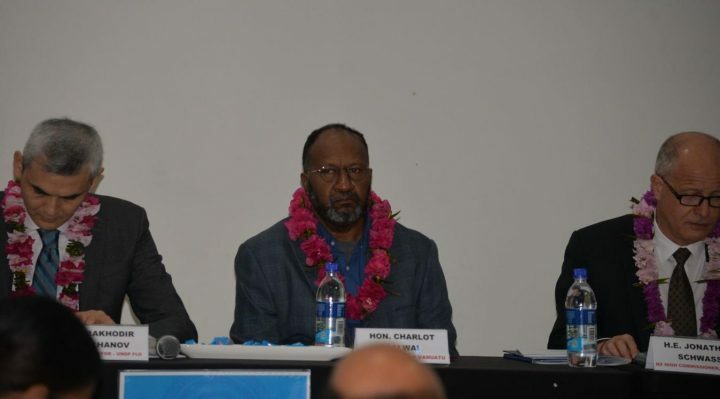 In response, Prime Minister Charlot Salwai said the Sino-Vanuatu relationship has fared well on the basis of the ‘One China Policy’ and remains robust. Prime minister Salwai extended heartfelt congratulations and best wishes for a future of prosperity and success to the President of the People’s Republic of China, Xi Jinping and the people of China, through Chinese Ambassador Zhou. 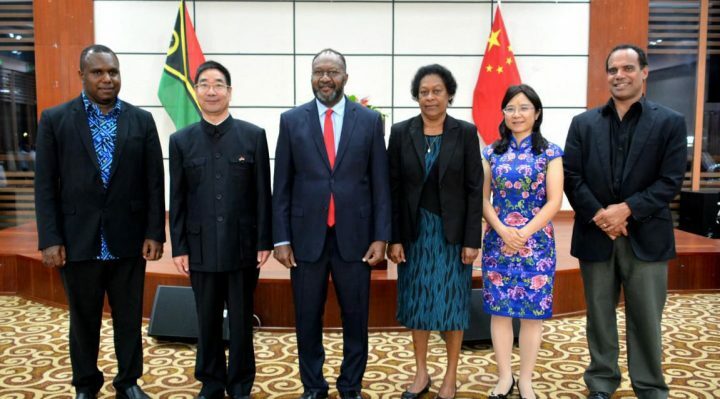 PM Salwai paid tribute to the Government and leaders of the PRC for what he described as excellent political and socio-economic relations, since the establishment of formal diplomatic relations in March 1982. He thanked Ambassador Zhou for the kind and promising words expressed to the effect that Sino-Vanuatu relations will continue to grow from strength to strength. “We are also pleased to note that you are settling-in well here in Vanuatu (Port Vila) and in your new role,” PM Salwai told Ambassador Zhou. He suggested that perhaps the occasion of the 69th anniversary celebrations should also provide an opportunity to reflect on how far the two relationship between the two countries has fared and how it is advancing into the future. “Suffice it to say that the Sino-Vanuatu relationship has fared well on the basis of the ‘One China Policy’ and remains robust,” said PM Salwai. The PM said it is very encouraging to learn of the new development path and trail that is being blazed by China, as it takes bold steps to be a global leader in sustainable development and in tackling the existential threat of Climate Change. “These are issues which, as you are well aware, remain core to Vanuatu’s developmental path and challenges,” he said. “To that end, Vanuatu continues to value the goodwill and assistance of the Government and people of China, especially during times of natural disasters. “The resilience, fortitude and the hardworking nature of the Chinese people and culture is also something which ni-Vanuatu continue to aspire to learn from and emulate. “We also join the PRC in celebrating the 40th anniversary of China’s ‘reform and opening up’, a process which not only transformed China into what it is today, the second largest economy and largest trader of goods, but profoundly impacted the global economy and commerce patterns. PRIME Minister Rick Hou will leave for the 73rd Session of the United Nations General Assembly (UNGA) in New York, Friday. The UNGA will convene on Monday next week which the Prime Minister is expected to join other world leaders at the Opening Plenary. The Prime Minister will also be delivering a statement at the Concordia Annual Summit; a Session on “Transforming vulnerable Small Islands toward greater economic resilience through innovative financing and strategic partnerships”. Later on Monday evening, Mr Hou and his wife Rachel will also attend a reception hosted by United States President Donald Trump. The Prime Minister will also briefly meet with President Trump during the reception. On Tuesday Prime Minister Hou is invited to deliver a statement on strategies to eliminate Malaria in Solomon Islands and the Melanesian region. Then on Thursday, he will also deliver another statement at the High-Level Meeting on the Prevention and Control of Non-Communicable Diseases in the pacific region. The Prime Minister will then deliver the country’s national statement at the UNGA on Friday. Mr Hou will also be having several bilateral meetings at the margins of the UNGA. Foreign Affairs Minister Milner Tozaka, who will also be accompanying the Prime Minister, will also be delivering statements on several high level dialogues. Minister Tozaka will be attending and delivering a statement at the Nelson Mandela Peace Summit, Climate Change and Security Dialogues and other meetings. The Prime Minister and his delegation will return from New York on the 29th September. In his absence Deputy PM and Finance Minister Manasseh Sogavare is expected to be the Acting PM. Human rights defenders have called on Indonesian authorities to release a West Papuan and a Polish citizen charged with treason. The two men are in jail awaiting trial in the capital of Papua province, Jayapura, after being arrested separately in two Highlands towns in the past fortnight. Jakub Skrzypski, a 39-year Polish citizen visiting Papua as a tourist, was arrested in Wamena in late August on suspicion of being a journalist. Police allege Jakub Skrzypski met with members of an armed pro-independence Papuan group, and was involved in an ammunition deal. Facebook with Mr Skrzypski was excessive. TAPOL said that Mr Magal, who was preparing to travel to Australia for post-graduate studies when he was arrested, had only minimal contact with Mr Skrzypski and no capacity to carry out the weapons negotiations he is accused of. The NGO said that Mr Magal had been dragged in by the actions of Mr Skrzypski, “to face superfluous consequences”. “Our findings show that Mr Skrzypski is merely a tourist who may have been acting recklessly and irresponsibly in a conflict area,” TAPOL’s press release said. TAPOL said Mr Skrzypski has been unfairly charged, as he is merely a tourist with a penchant for travelling to dangerous regions around the world and may have been acting naively in a conflict zone. It said the Polish man had previously travelled widely in Indonesia. A Papua Police spokesman Sr. Commander AM Kamal, said police found evidence that showed the two men had been in communication since 2016 to discuss the procurement of weapons for the West Papua Liberation Army. The Jakarta Post reported Kamal saying police found several photos and videos on Mr Skrzypski’s phone depicting him posing with members of the armed group while holding a firearm. He said based on the evidence, police suspected Skrzypski had been covertly training the Liberation Army on how to use firearms. However, TAPOL’s sources indicate that the photos in question include images of Mr Skrzypski holding guns at an indoor sport shooting range in Vaud, Switzerland, where he had been living since 2008. “As an ‘extreme’ traveller, the West Papua Liberation Army is not the first armed independence group that he has met for the sake of adventure. He had also visited the Kurdish Liberation Army in the troubled Qandil mountains region in Iraq in Spring 2017, before the liberation of Mosul from ISIS,” TAPOL said. The UK-based human rights organisation said Mr Mr Skrzypski’s intention to learn about West Papua’s struggle is “easily misinterpreted by the Indonesian government”. 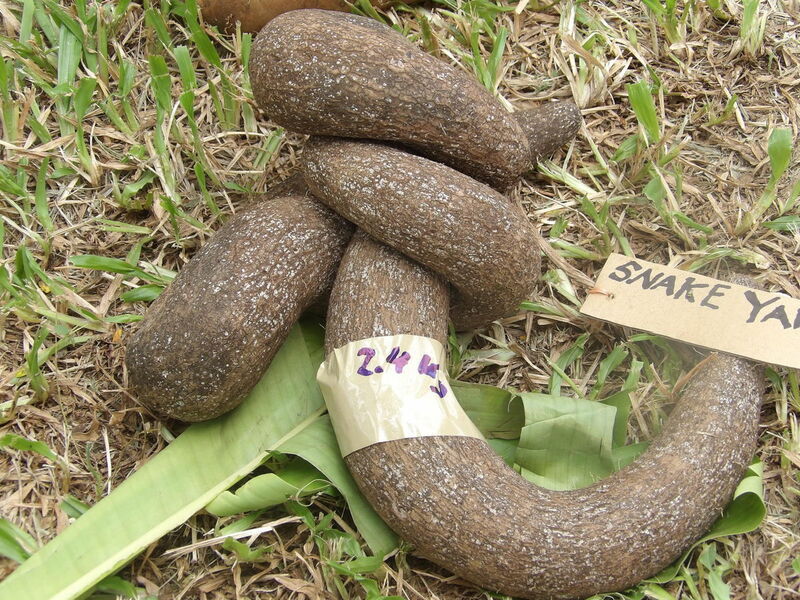 Two other West Papuans were arrested for possession of ammunition at a similar time and location as Mr Skrzypski’s arrest. Papuan human rights workers suggest the two separate cases have been confused. TAPOL has urged Indonesia to ensure, in the event that Mr Skrzypski is prosecuted, to ensure he is afforded a fair trial. It has also called on Indonesia’s government to “stop using highly problematic treason charges that have long been used in excess to both intimidate peaceful dissent and to criminalise rights to the freedom of expression”. While administration and political reforms have been conducted worldwide, Oceania has its own narratives. Prime Minister Charlot Salwai made the above statement in his official opening remarks at the Regional Conference on Legal and Regulatory Framework for Political Parties yesterday. The Pacific island states, usually referred to as Oceania, vary significantly in many critical respects of their geography and social, economic and political system. Generally speaking, the Pacific was once considered to be unique in the former colonial world for the longevity of its political institutions and constitutions. “However, over the past two decades, the region has become increasingly unstable politically,” said PM Salwai. 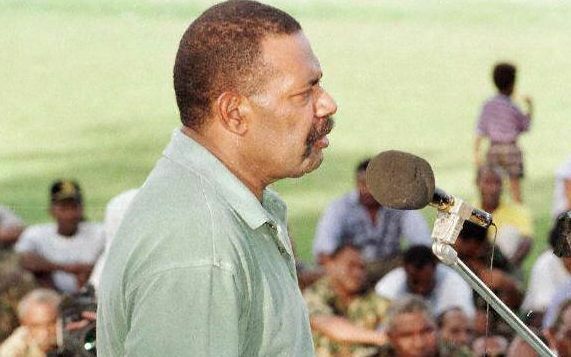 “The political conflicts in the Pacific Islands have created the so called an arc of instability stretching from Papua New Guinea to Solomon Islands, Vanuatu to Fiji, and more recently Tonga, as reflected by the 2006 riots in the capital Nuku’alofa. The political instability in the Pacific has continued since the start of the 21st century. “As those of you who follow Vanuatu politics and current affairs will know and understand the political landscape in Vanuatu, the issue of political stability, potential constitutional reform and the role of political parties have long been issues in the news here in Vanuatu. And I say that Vanuatu’s political scene changes rapidly. He mentioned the Government had previously announced its plan to look at introducing measures to provide for increased political stability and improved governance in Vanuatu. In particular, the issue of creating a modern, effective and transparent legal and regulatory framework for the creation, registration and operation of political parties remains a key challenge and priority. “We have withdrawn our broader constitutional reform bill in order to allow us to focus on the key on the key issue of political parties and look to create consensus on the key content that should be included in a Bill to regulate political parties,” he said. “I have appointed a Taskforce to do a detail analysis, and to provide a working paper to the parliament in November of this year. This will form the basis for preparing us for a drat Political Parties Bill, which will be table in Parliament hopefully next year. On Friday, the Vanuatu Government will be holding a consultation meeting with a wide range of national stakeholders to discuss the dialogue at this regional conference and what might be relevant to the situation in Vanuatu. 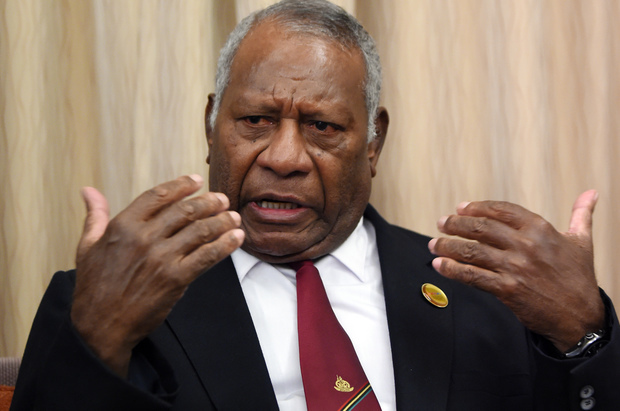 “It is for this reason that I am looking forward to hearing how Papua New Guinea, Solomon Islands, Fiji, New Zealand and other countries have addressed some of these issues and o hear what has worked, and maybe just as importantly, which has not worked and why,” said PM Salwai. He acknowledged UNDP and all the donor partners who have contributed to this event – the Governments of New Zealand, and Australia respectively, the European Union and the Konrad AdenauerStiftung Foundation. “I would like to close by referring to the UN Sustainable Development Goal 16 which talks of good governance and effective political institutions and also the VNDP that has as a key commitment the enactment of political reforms that promote stability, accountability, constituency representation and civic engagement,” he said. “As a country, we recognise, that in order to achieve the goals outlined in the VNDP, that stability, good and effective governance of our countries is a prerequisite to service delivery and strong, continuous, sustainable development and economic growth. With these remarks,PM Salwai welcomed the regional participants to Vanuatu and declared the conference officially opened. 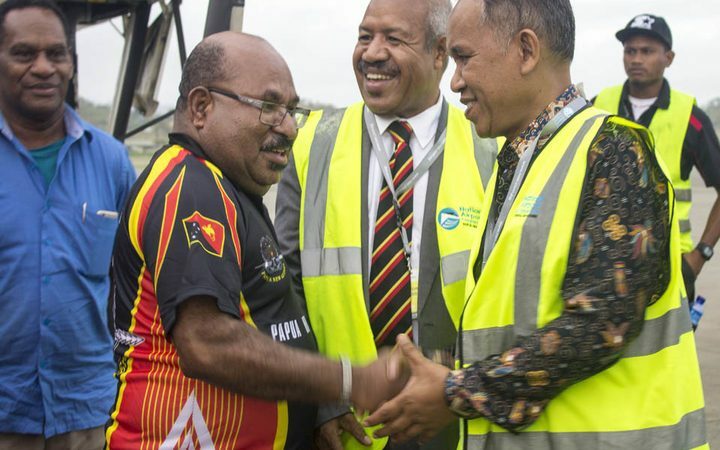 Radion NZ News – The Governor of Indonesia’s Papua province wants West Papuans to be able to connect more with people in neighbouring Papua New Guinea. 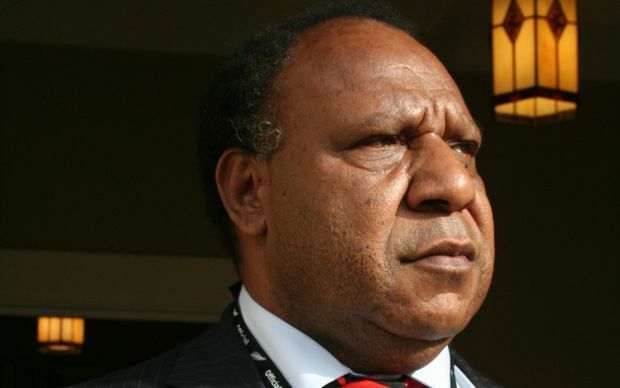 The call from Lukas Enembe comes as he is visiting PNG’s capital Port Moresby. Mr Enembe, who was recently re-elected as governor, said that it shouldn’t have taken 43 years for PNG and Papua to have formal contact. 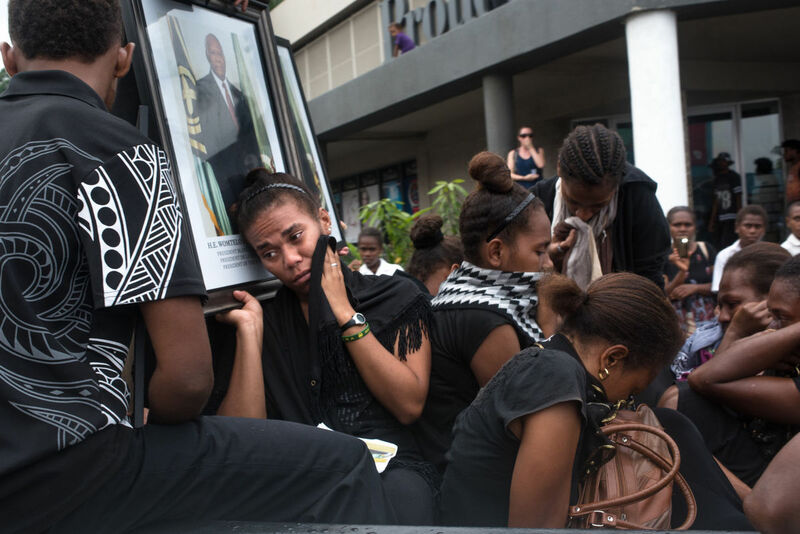 “Why we didn’t come to PNG and connect with them before, for all these years, it’s no good,” he reflected in a telephone interview from Port Moresby. “That’s why I’m thinking we must open the relationship with PNG, we must join together economically, politically, culturally. It’s good for our people, good for our government,” continued Mr Enembe. For years, links with between the people on both sides of the border running down the middle of New Guinea have been limited, partly through a mix of poor transport links and restrictions implemented by security forces on the Indonesian side. Mr Enembe said that now the Indonesian national government also saw the merits of closer ties with PNG, and was not opposed to his visit this week. 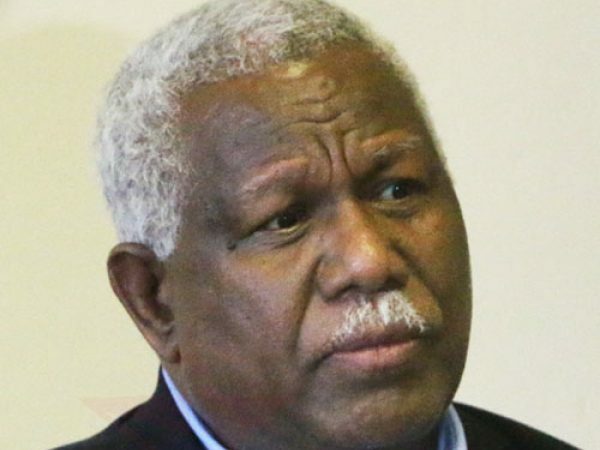 According to PNG’s Foreign Minister Rimbink Pato, the two countries have forged a close relationship where all issues of mutual interest, including sensitive border matters, were discussed in a constructive way. He was responding to criticism from Mr Parkop who last week spoke out about human rights abuses in Indonesia’s Papua region, widely known as West Papua. Mr Parkop was critical of both PNG and Indonesian governments for not confronting the West Papuan rights issue openly. However, Mr Pato denied that there was a lack of interaction regarding Papua. 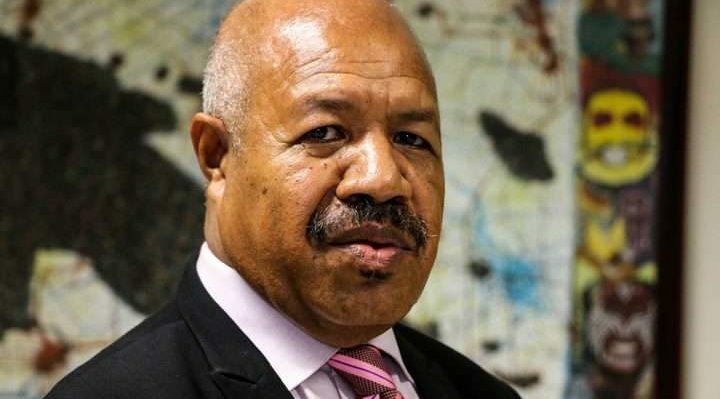 The minister said PNG welcomed the Indonesian government policy under President Joko Widodo to take a development-led approach to the Papuan Provinces rather than a security-led approach. Governor Enembe said President Widodo was aware of the problems in Papua, and was travelling frequently to Papua. Mr Enembe is not outwardly pro-independence. But he said while Papua region had been given special autonomy by Indonesia in 2001, the arrangement hadn’t worked out well, because Jakarta still controlled affairs in the Papuan provinces. He was candid about the impact of Indonesian security forces in Papua. “Every day my people are being killed,” Mr Enembe said. “That’s why I think… the military of Indonesia, the police of Indonesia, they’ve stopped thinking about the humanity in Papua. The Governor claimed that West Papuans were dying at a disturbing rate through three main causes: because of neglected health services, because of the spread of HIV / AIDS, and because of alleged killings by the security forces. He said Indonesia had co-opted Papua’s land, minerals and forest resources, while West Papuans were largely left without a say in the matter. According to him, that’s part of the reason why Papuans sought to reconnect with PNG people, their Melanesian kin. 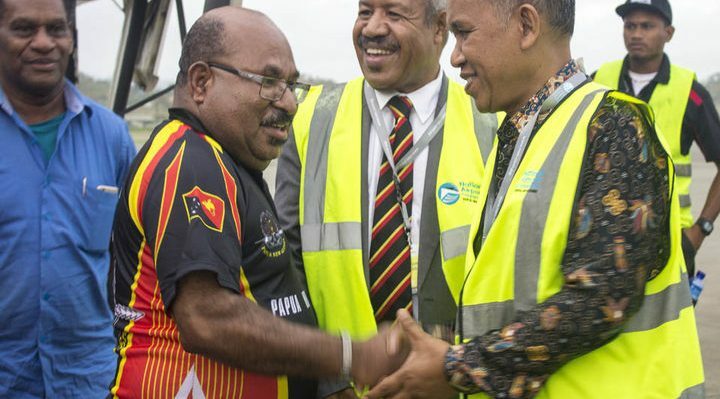 Port Moresby and Papua’s Jayapura city are planning exchange programmes in the areas of tradition, culture, economics, social, sports and music to strengthen their sister-city relationship. “I want us to work towards these small things achieving that, bridging the gap to open up for each other to greater future,” Mr Parkop said. 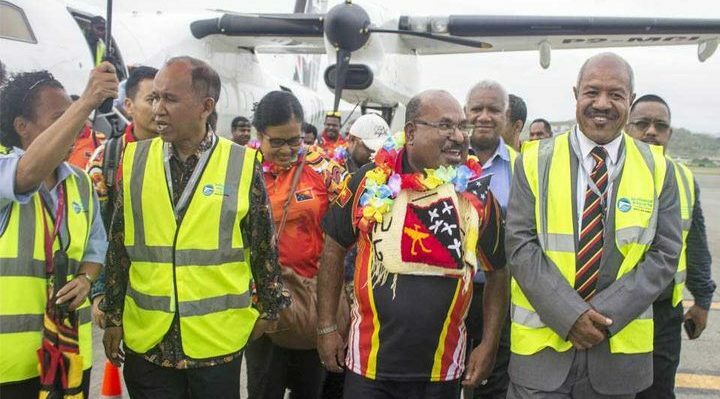 After Moresby, the Governor is heading to PNG’s second city of Lae, where he hopes to sign an economic collaboration agreement with the Morobe provincial government. Then before heading back across the border, Mr Enembe will visit the northern towns of Madang and Wewak, further building links between his province and PNG.